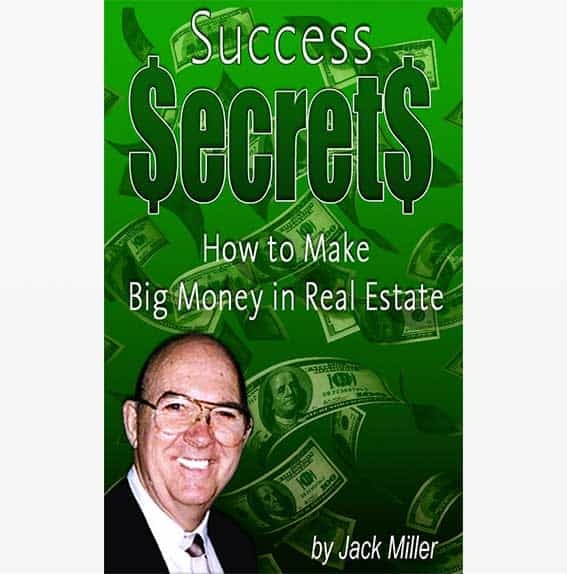 Reveals many of the lessons and ideas gained from more than 45 years of Jack Miller's real estate investing experience! Learn how to make money with Real Estate and 'Paper' while avoiding those costly mistakes that could wipe you out. This book represent Jack's latest thinking on how to avoid the pitfalls many investors face in their careers, as well as insights and instruction on how to enhance your prospect for success. It represents over forty years of real estate investing experience by Jack. This 263-page book is loaded with case histories, examples, and money-making ideas to help you understand money and financing, so you can reach your financial goals. Subscribe to CashFlowDepot today to receive this FREE eBook. These five real estate investing techniques were selected as the best techniques for this year. A Basic Membership is Free!